Malaysia has put a high regard on Korea and it shows it in its aggressive campaign to generate tourism to this tropical nation in the South China Sea. Part of this campaign was having Malaysian Tourism Minister Hon. Datuk Dr. Leo Michael Toyad come to Korea to promote several different travel packages at the Millennium Seoul Hilton on Oct. 19, 2004. One of their newest packages is the Malaysia Destination Golf Playing Privileges, which is zeroed in on people over 50 years of age and who want to enjoy golf in a year-round warm climate. 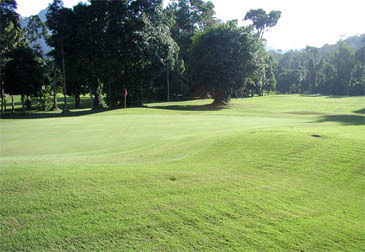 Malaysia has over 200 golf courses in a diversity of locations. More than 40 golf courses are located in Klang Valley out of which more than 10 golf courses have night golfing facilities. 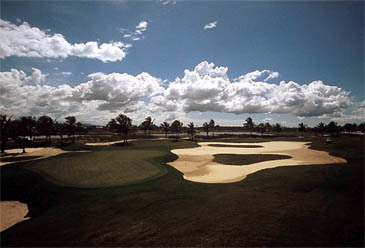 Malaysia has been host to international golfing events such as the 1999 World Cup of Golf at the Mines Resort where Tiger Woods and Mark O'Meara of United States took the Championship title. The Mines Resort also played host to the Women World Cup of Golf in 2000 where Karrie Webb and Rachel Teske of Australia took the title. Malaysia has also hosted the likes of Vijay Singh, Ernie Els, Lee Westwood, Retief Goosen, Colin Montgomery to name a few and currently the Malaysian Open is co-sanctioned by the European Tour and ASIAN Tour. The MDGPP is a playing membership program offered to South Koreans of the age of 50 years and above. The program offers playing privileges and access to 36 golf courses in Malaysia. It also offers 15 participating hotels/resorts throughout the country. The term of membership is for 10 years from the date of purchase and the cost is $10,000 US, which works out to a $1000 a year. The package includes unlimited access to a minimum of 30 selected Championship golf courses in Malaysia with no green fees. Accommodations include five room nights per year for the duration of 10 years in participating hotels and resorts. This is non-cumulative. Special discounts at food & beverage outlets and pro-shops at most participating hotels and golf clubs. Preferred room rates at participating hotels and resorts for member's guests. Members and their guests will be offered tailor-made golf itineraries with a 'golf-butler' service in all destinations of their choice. There will also be special invitations to special tournaments, travel programs and other events organized for members and guests. Special discounts are also provided for subsequent visits for members and guests. This package will also be offered to other countries such as China and Japan next year. For more information on booking this program or any other program to Malaysia from Korea please contact the Malaysia Tourism Promotion Board at 02-779-4422 or visit their website at www.mtpb.co.kr or contact your local travel agent. Who Is Datuk Dr Leo Michael Toyad? 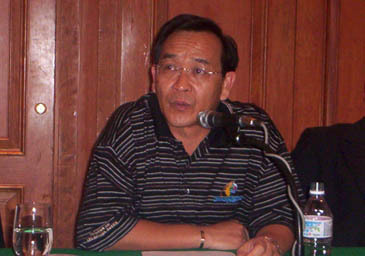 Datuk Dr. Leo Michael Toyad was deputy minister of Malaysia's Ministry of Foreign Affairs before he was appointed as minister of tourism. He was born in Mukah, Sarawak, on April 11, 1950. He studied at University of Malaya, earning a Bachelor of Medicine and a Bachelor of Surgery in 1976. Later on in 1981 he received a Master in Public Health (UM) from the same university. He served as a medical doctor and as a health officer in various hospitals at Miri, Sarikei and Sibu in Sarawak for the Malaysian government from 1976 to 1982. In 1982 he entered into politics, becoming a member of Malaysian Parliament in 1983. He was elected as a member of Supreme Council of PBB (Parti Pesaka Bumiputra Sarawak). Since 1987 he has successfully defended his parliamentary seat for five consecutive terms. 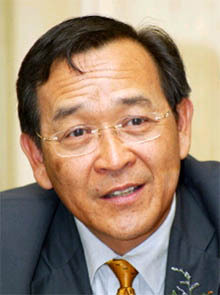 In 1987 he became deputy minister in the Malaysian government. He is also a committee member of Inter-parliamentary Union Malaysia, and a committee member of CPA Malaysia. Toyad is married to Datin Matilda Ho Kim Luan. They have three daughters and a son. Minister Toyad's hobbies include reading, paying tennis and golf, and listening to music.